I don't get to Bay Ridge often. From Greenpoint, the ride down there can take upwards of an hour and that's if everything goes right for you on the MTA. So I leave it to Allison Robicelli to tell me what to visit when I do find the time to meander on down. And for the past couple of months I've heard all sorts of raging about the re-opening of Leske's Bakery, so I went. I do need to keep current on New York City's black and whites! 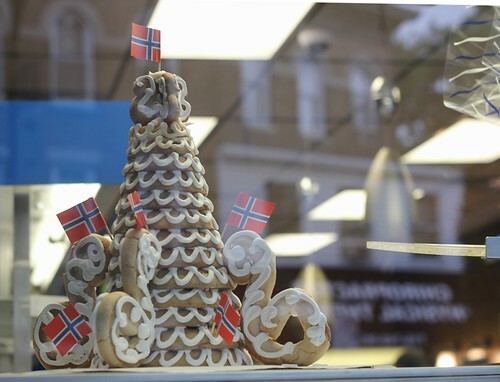 Leske's is not only known for their black and whites, but also their Scandinavian specialties. Sunset Park and Bay Ridge used to have one of the largest concentrations of Scandinavians in the country. This population ended up being torn apart by Robert Moses and his building of the Gowanus Expressway, but a few stayed and their institutions held on for as long as they could, including Leske's. It ended up shuttering last year, but new management took over and they ended up re-opening in the same space. I went primarily for the cookie, but once there I knew I needed to try more. Who knows when I'll be back, you know? 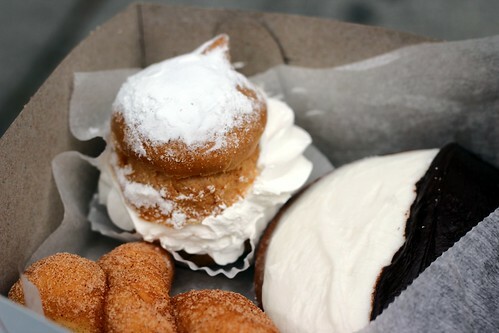 I narrowed my additional selections to a cream puff and a cruller. Their cookies are topped with decadent frosting--no fondant here. It's definitely one of the better ones, but I'd have to do a head-to-head with Joyce's Bakeshop in Prospect Heights before saying more on that front. 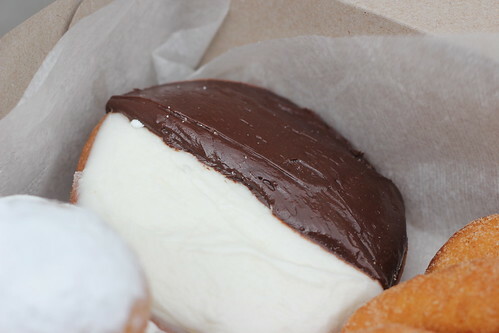 The cream puff was good, you can't really go wrong with fresh whipped cream with me, but I would have preferred a richer cream in the middle though. The doughnuts were awesome. Probably not "trek out to Bay Ridge on your afternoon off" fantastic, but definitely "if I lived in the neighborhood, this would be my spot" awesome.